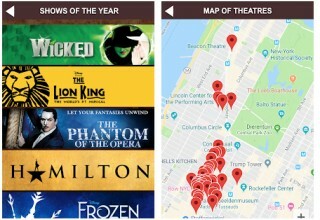 NEW YORK , December 4, 2018	(Newswire.com) - An Off-Broadway producer has launched a new mobile app that lists every Broadway and Off-Broadway discounted ticket into one location. 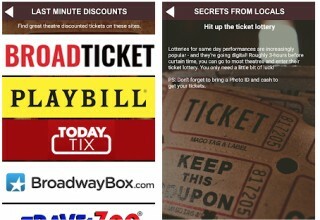 The free mobile app, Last Minute Broadway, scans the web for discounted tickets that are rarely promoted or advertised. 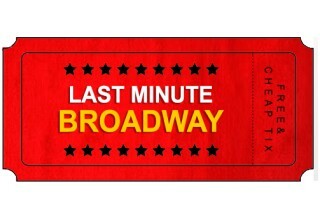 Last Minute Broadway does not sell theater tickets. 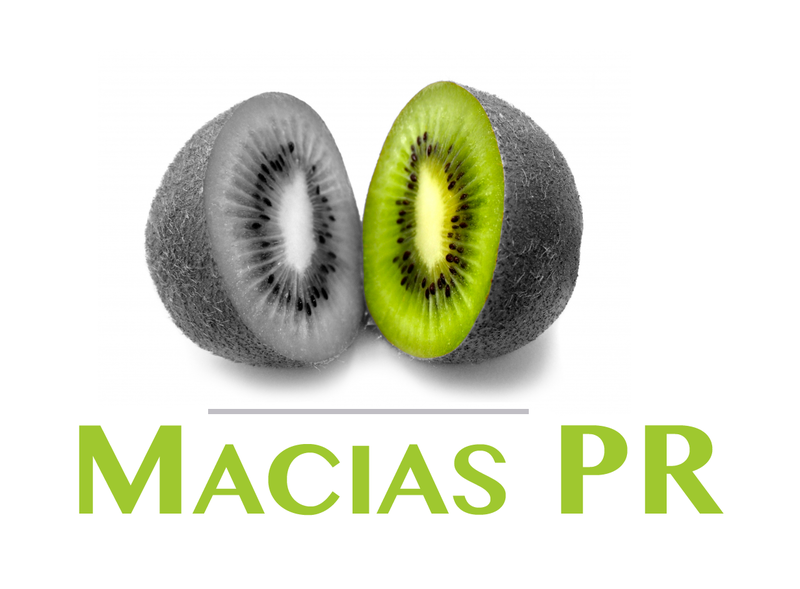 Instead, it compiles daily offers into a database so consumers can compare prices and find the cheapest tickets. 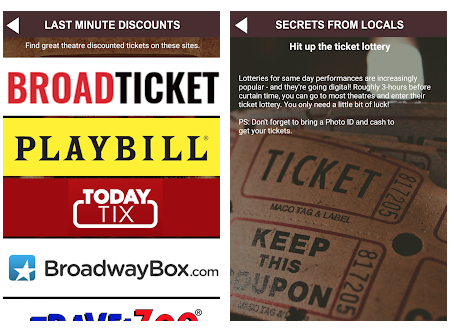 Last Minute Broadway is available for free in the iOS and Android app stores. The creators of Last Minute Broadway, Mark Macias and Sanne de Groot, say they were inspired to create the mobile app while promoting their own Off-Broadway play on the life of Elvis Presley - "The King, The Final Hours." "In the process of promoting our own Off-Broadway play, we realized most theaters offer last-minute discounted tickets, but you have to dig to find them on the web," said Macias. "Yes, there are discount theater brokers selling tickets - like TodayTix, and Broad Ticket, but they only list their own offers. They won't tell you about cheaper tickets for sale on other sites. Last Minute Broadway is the only app that aggregates the best offers and puts them in one location." What are the Best Broadway or Off-Broadway Shows to See? Last Minute Broadway also compiles reviews from theatregoers and critics so consumers can read what others are saying before they buy a seat. "In the process of compiling this database, I saw listings for hundreds of Broadway and Off-Broadway shows in New York alone," said de Groot. "I didn't know which shows were good and which were bad. It got me thinking, why don't we also add reviews from critics and theatregoers so our app users can know if it's a good show before they buy their tickets." Last Minute Broadway also highlights insider secrets that most New York theater enthusiasts already apply, but few tourists and consumers know. "Most tourists wait in line for hours at TKTS in Times Square for discounted theater tickets, but most don't know they can buy these same discounted tickets with no lines in Brooklyn, Lower Manhattan and the Upper West Side," said de Groot. "Last Minute Broadway reveals some of these insider secrets that only a theater buff would know." What Broadway Show Should I See? If users don’t know what type of show they want to see, Last Minute Broadway offers suggestions for the most popular Broadway and Off-Broadway shows, complete with discounts and reviews from experts with Show Score and The New York Times. 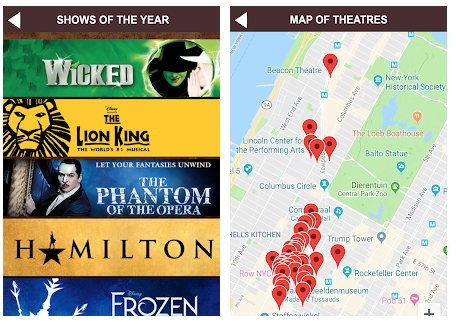 Last Minute Broadway also features a map of all 40 Broadway and Off-Broadway theaters in Manhattan, helping users see how close the theater is to their location. 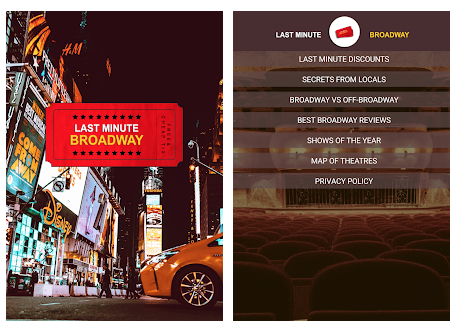 Last Minute Broadway is available for free download in the iOS and Android app stores.